Just about any one you talk too who knows anything about routing aluminium successfully will tell you need a Unist applicator and that you must use Unist Coolube 2210 to do the job competitively. 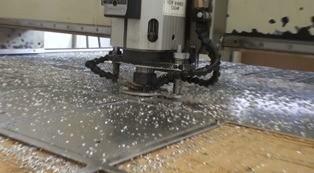 There are many benefits to be gained by employing the Unist “Near Dry Routing” system. Read about the top ten benefits of NDR.